When drive capacity is running low on a Synology DiskStation, Synology DX1215 provides an easy way to immediately scale capacity by providing an additional 12 drive slots. 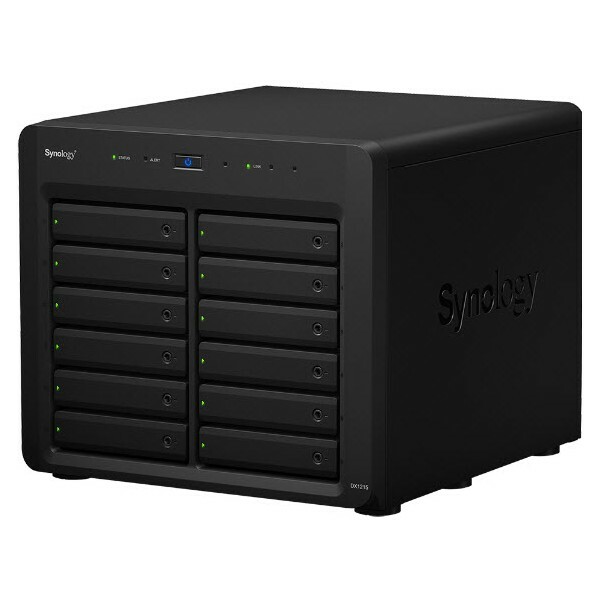 A RAID volume on the Synology DiskStation can be expanded directly without having to reformat the existing drives, ensuring the Synology DiskStation continues providing services during capacity expansion. Synology DX1215 can serve as a dedicated local backup solution for a Synology DiskStation. When created as a separate volume, the Synology DX1215 provides a great backup solution for local drives in case of system failure. DX1215 securely connects to Synology’s DiskStation servers with a specially designed expansion cable, ensuring easy connection and maximum data throughput. 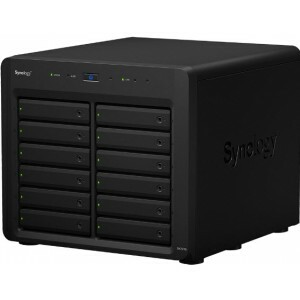 The 6Gb/s connection speed allows the drives in the connected Synology DX1215 to operate as the internal ones of Synology DiskStation. Hibernation mode can be manually configured to start automatically when the system has been inactive for a period of time. This not only saves energy but also extends the lifespan of hard drives. DX1215 will also smartly power on/off with the attached DiskStation, so no user intervention is needed to keep this system running smartly and efficiently.